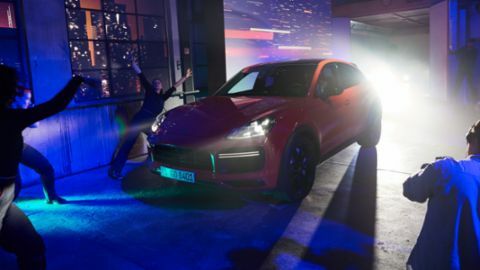 With the world premiere of the Cayenne Coupé, Porsche is extending the third generation of its successful SUV range. 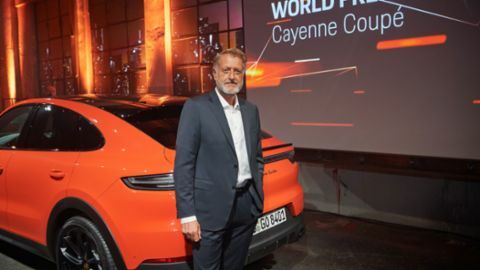 An interview with Detlev von Platen, Member of the Executive Board for Sales and Marketing at Porsche AG. 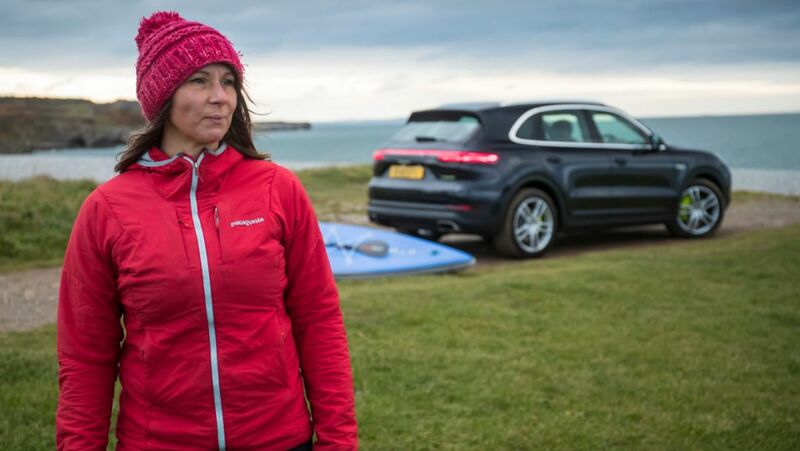 On the road with eco-warrior Sian Sykes and a Cayenne E-Hybrid. People have been sharing spine-chilling tales at Halloween for centuries, and there’s one particularly terrifying character that has been familiar to children through the ages: the bloodthirsty Count Dracula. But is the story fiction or reality? Adventurer Sebastian Canaves traces the steps of the famous vampire in Romanian Transylvania. The Porsche Experience Centre Atlanta has just hosted its first ever wedding - at 70 mph. Neil Campbell becomes the fastest European ever on a bicycle, achieving it in the slipstream of a Porsche Cayenne Turbo. Golfing for everyone, any time, any place – cross golf is a trending sport that focuses on the essentials and gets by with just a few rules. The Porsche Newsroom explains what it’s all about and why the Cayenne is the perfect cross golf cart. Creative collaboration across disciplines and locations: Porsche Digital Lab assembles a group of influencers from the German digital scene for a road trip through Berlin and Hamburg.